Upon arrival at Pinot Provence, the main dining room where the event was being hosted was decked out with gorgeous place settings, wine glasses, and soft crème table cloths. 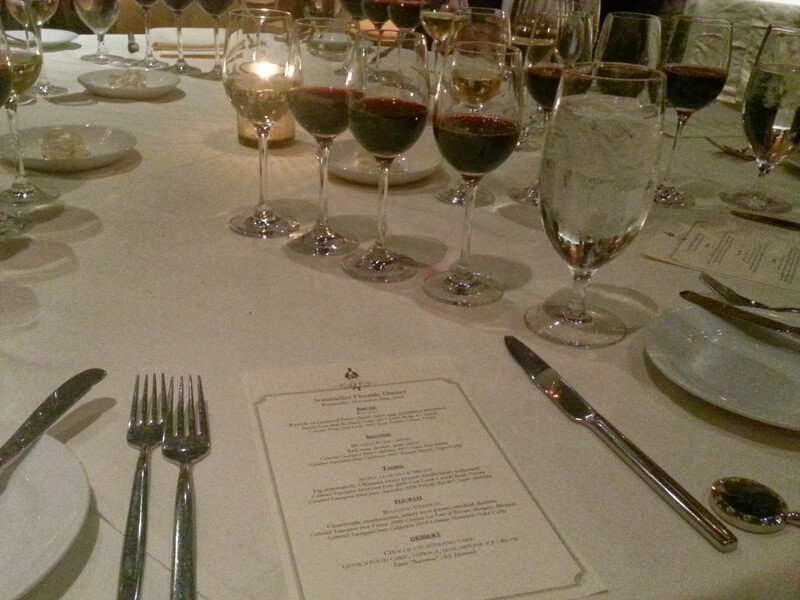 I was excited to see how this wine pairing dinner would differ from the Tour De France dinner, I had attended a couple of months back, which was also fabulous and you can read about it here, —> TOUR DE FRANCE. founder of WINE ELITE. Our food and wine pairing journey was an educational experience shared with us by two well educated men that definitely knew their food and wine! Jorn explained each and every wine he selected for our dinner throughout the night and Adam Edmonsond, Certified Wine Specialist had great detail about how the foods paired with the wines. For every course at this fabulous wine pairing dinner, Jorn Kleinhans went through a full description of each wine, where it came from, the properties of the wine, how it aged and what we could expect from each wine. Our first 2 wines were a 2011 Pouilly-Fume from Nievre, which is to the east of the Loire Valley in France, which was a dry white wine from Joseph Mellot in Le Tronsec and the second wine was a 2007 Cabernet Franc from the Loire Valley in France called Remy Pannier Chinon. These 2 varietals were paired with The Amuse course which was done quite lovely. 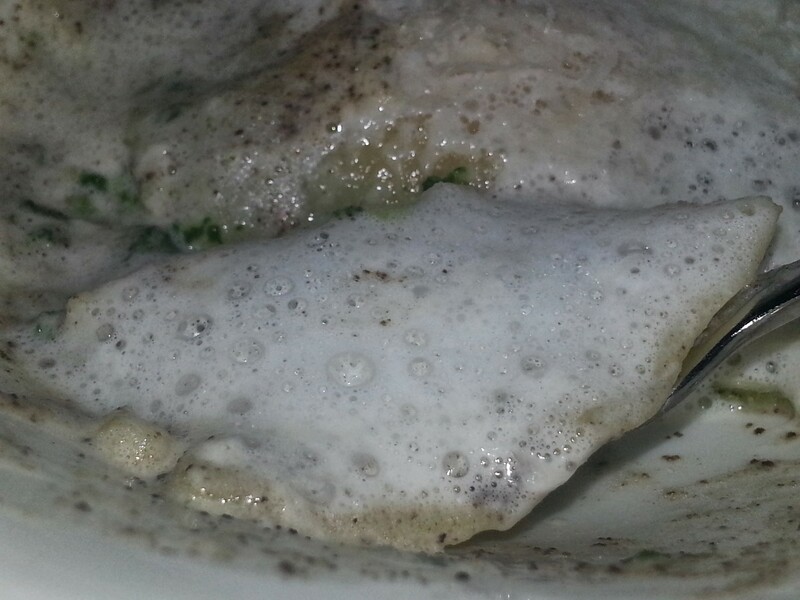 This course included ravioli of creamed Swiss chard, farm egg, and parmesan emulsion. This ravioli literally melted on your tongue. It was so rich in flavor and enjoyable to devour! little bit better. 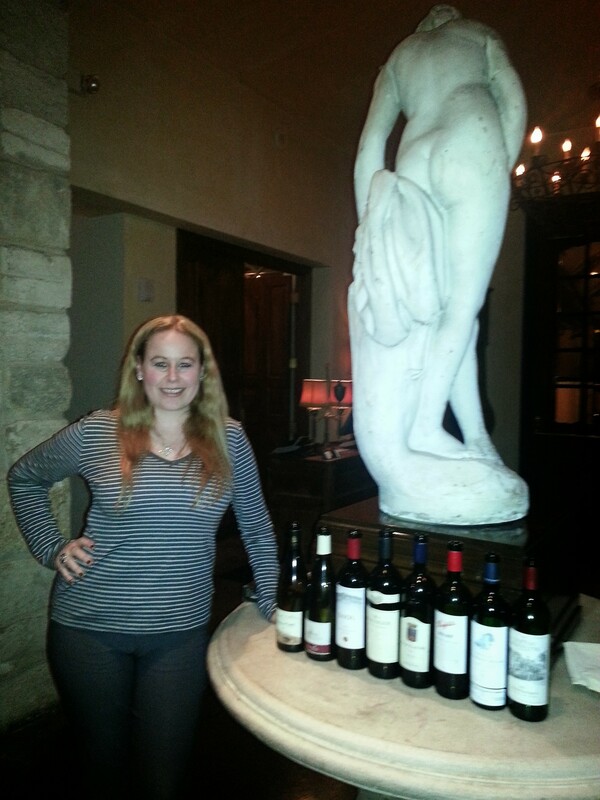 As for the Beringer Reserve, I was pleasantly surprised! I have never been a huge Beringer fan, but this wine was smooth and full bodied and had every developed flavor present that you would expect from a big bold Napa Valley wine! It ended up being my favorite of the whole evening! They actually ran out of it because so many people requested more!! 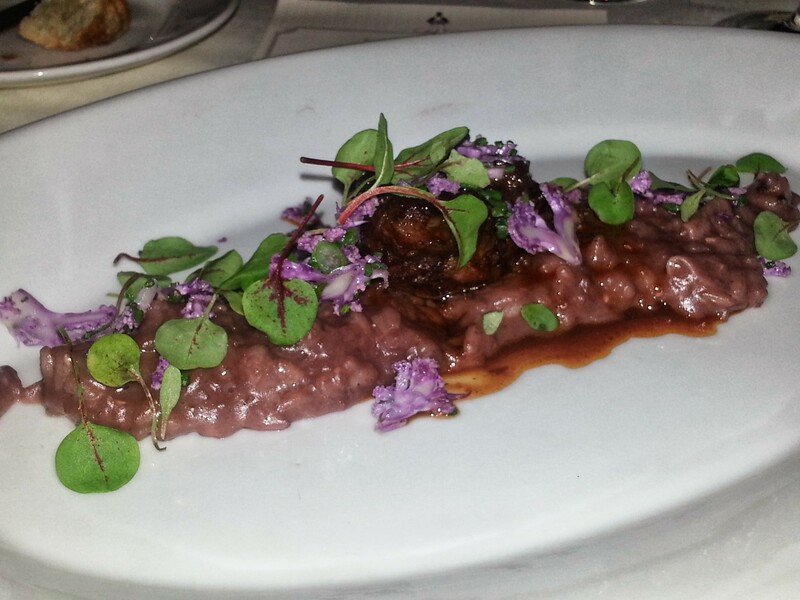 I loved how this paired with the Pork cheek and I am normally not a pork fan, but the way this dish was prepared with the fresh red wine risotto and port, ahhh….I was in heaven!! Breast. 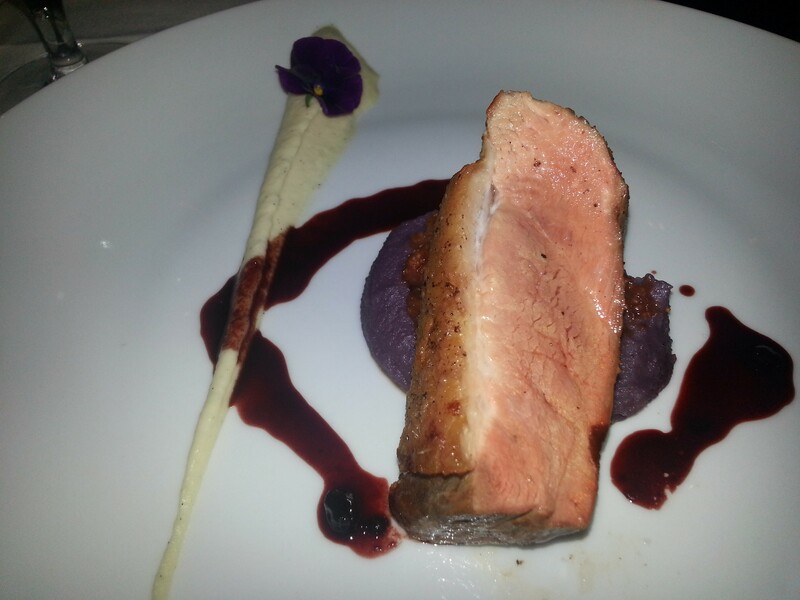 This duck breast was so tender and it was cooked perfectly with decadent fig marmalade, Okinawa sweet potato and a huckleberry reduction. There were so many “Oohs and Ahhs” at our table over this combination! I had never experienced huckleberry reduction or fig marmalade and I must say it was quite amazing to my palate! My taste buds were definitely smiling! Fourth course wines included a 2009 Cabernet Sauvignon from the Bordeaux region of France from Chateau La Tour de Bessam, Margaux and a 2010 Cabernet Sauvignon from Napa Valley California from the Chateau Montelena winery. These were paired with a Roasted Venison that was decked out with delicious Chantrelle mushrooms, celery root puree (to die for!!! ), and smoked cherries. Although Venison is not my personal favorite due to the texture of the meat (just my personal choice, others love it) the flavor profile that Executive Chef Alfonso Ramirez infused together in this amazing dish paired together perfectly with these 2 wines. 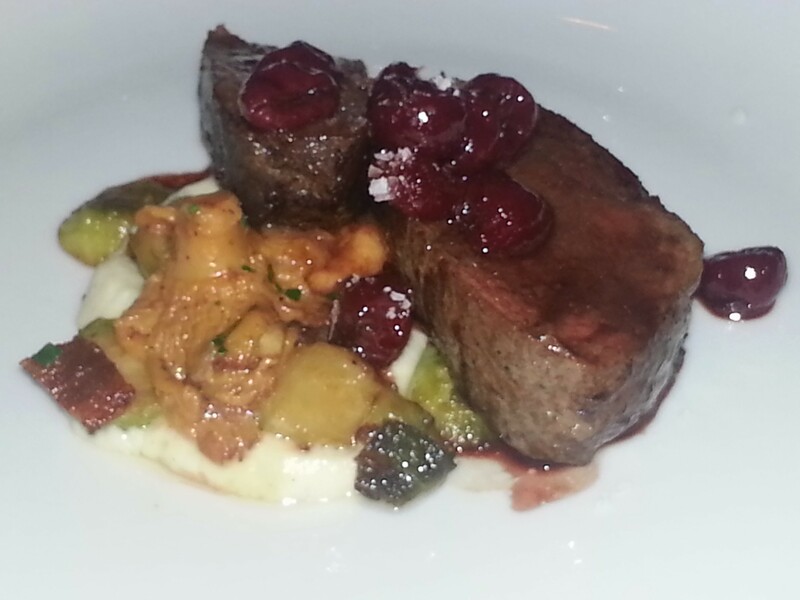 I absolutely LOVED the celery root puree and the smoked cherries. 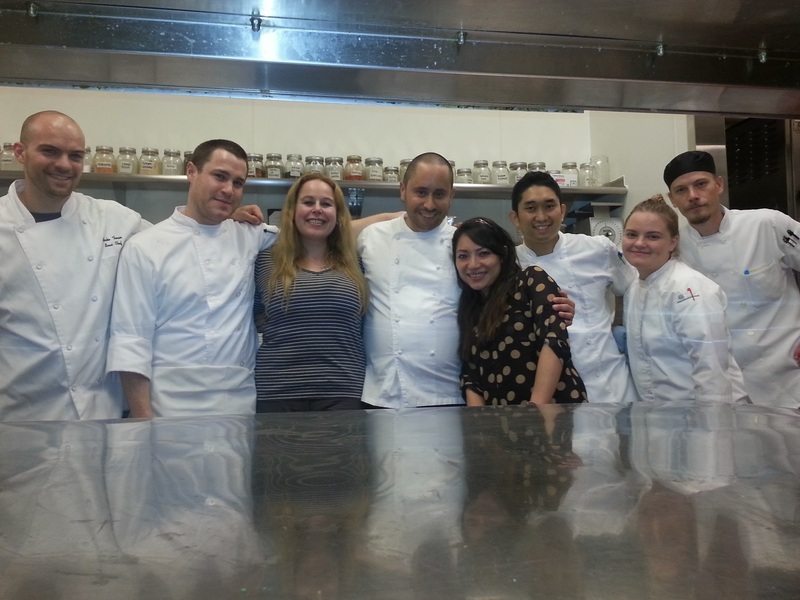 Everything was cooked perfectly, plated beautifully and delicately prepared to perfection. By the fifth course, our tummies were pretty full and we were feeling pretty good from all the wine, but we proceeded to our last wine glass which was a Zonin “Baccorosa” Asti Spumante and a 10th glass is slipping my mind..it may have been a 10th glass just because we were simply able to have refills on the wines we enjoyed all night (definitely a Dani’s Decadent Deal! 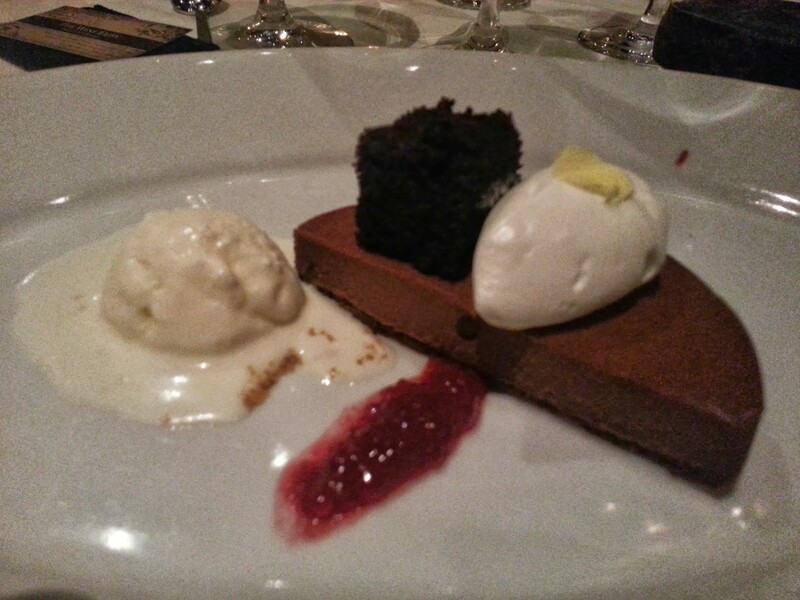 🙂 ) The dessert was a chocolate pudding cake decked out with Devil’s food cake, tapioca, and mascarpone ice cream. The ice cream was to die for and when I finished it, even though I was extremely full, it left me craving for more! This wine pairing dinner was the last one of this year, but stay tuned for more wine pairing dinners at Pinot Provence in the upcoming year, which I am sure I will be happy to share more about when they occur! If you like what you read above, I am sure there are only even more fabulous dinners to come! I want to send out a big thank you to Pinot Provence and Executive Chef Alfonso Ramirez for once again providing a fabulous Wine pairing dinner. I look forward to many more of these in the future! Let me know if you had the opportunity to check out one of the wine pairing dinners at Pinot Provence below. I would love to hear about your personal experience! Thanks for reading! wow everything looks delicious and i love your pics–this made me hungry! That is what I love to hear!! :-) Thank you! Wow what a great review! Looks like a great place! Thanks for all the wonderful details and pictures! I am a venison fan.. whenever i see it i order it. 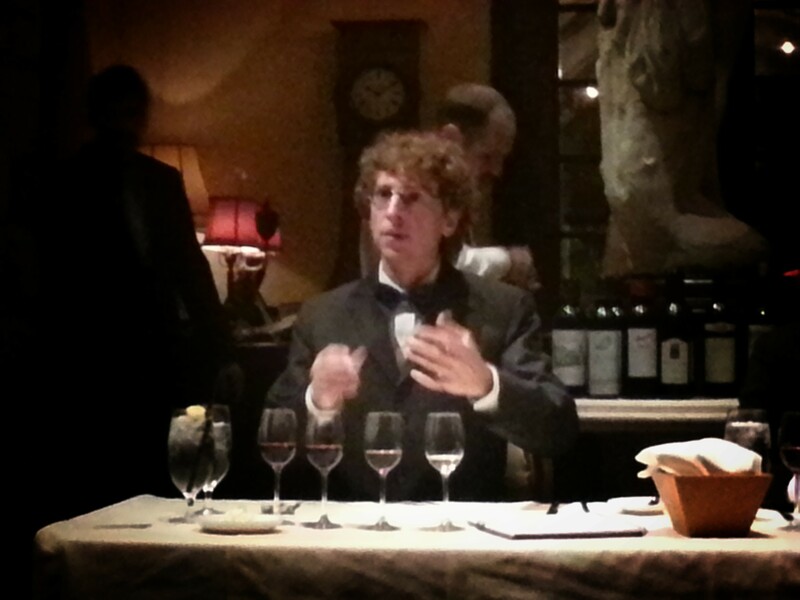 I am Joey, the sommelier of this event. 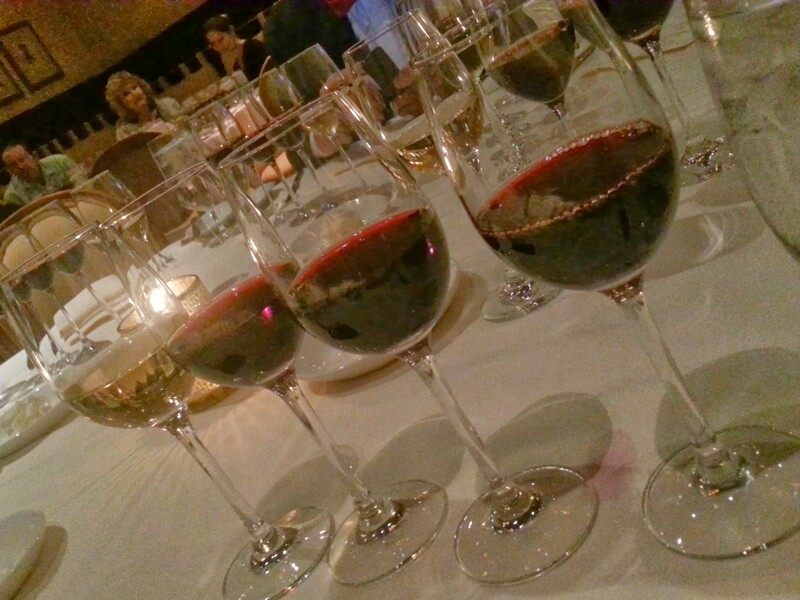 Join our ongoing wine dinner series in restaurants across Orange County. 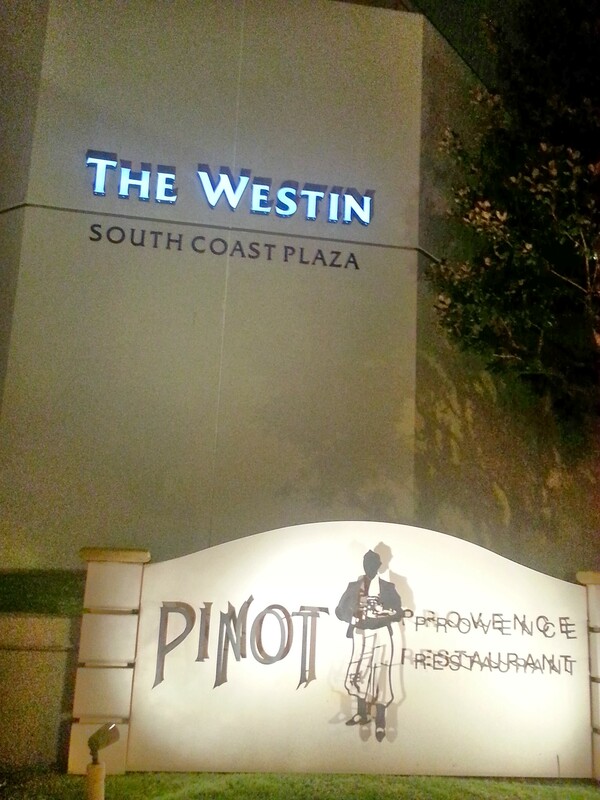 Sign up at http://www.meetup.com/WineElite and attend the next sommelier-guided wine tasting experience. 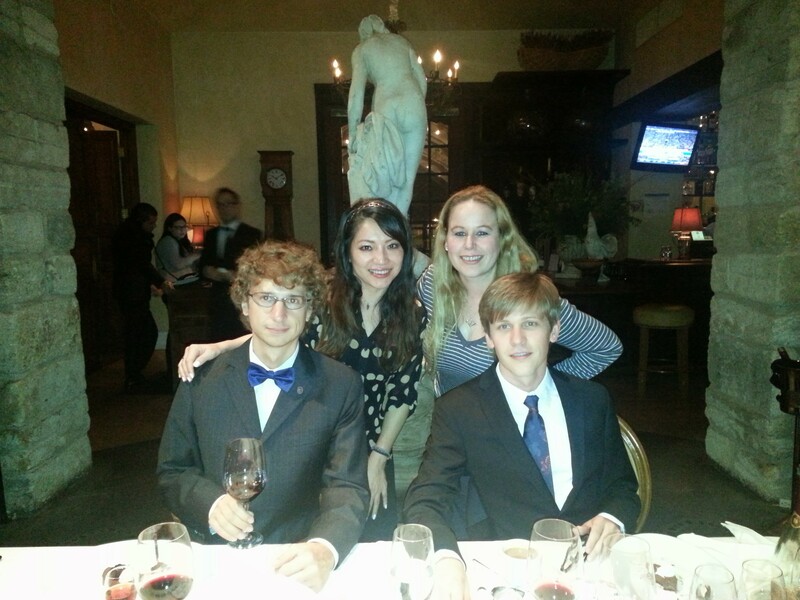 That must have been a great wine tasting experience and delicious food! How about good wine and Ravioli for me ? Once again the desert looks fabulous. I am not a wine drinker but the whole set up looks very classy! the only time i drink wine is when i add it to orange juice *ducks and hide* lol But i LOOOVE food and the food you mentioned above sounded amazing!! Especially the duck breast yummyyyy!! LMAO!! You better duck and hide unless that is champagne or prosecco we are talking about! 🙂 Everything was great..Duck breast was soooo tender!! Yum in the tum! Interesting to read about how some wines you didn’t like that much until properly paid with the food they presented to you! 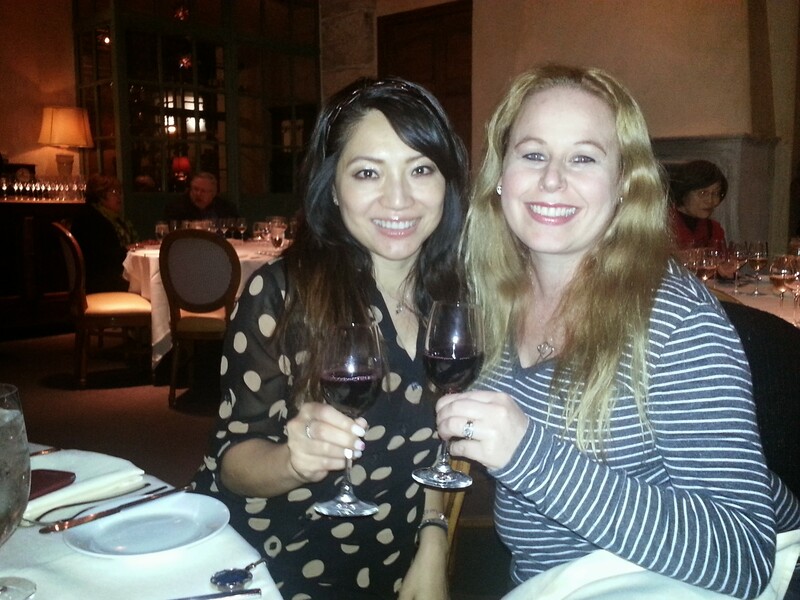 Our family loves wine and we also love exploring which wine will be our next “favorite”! Looks like you truly enjoyed yourself! Thank you Laura! Food really can change the profiles of wine. I definitely recommend trying that California wine I mentioned from Napa since you are a wine fan! AMAZING!! !